That Indonesia is a wonderful tourist destination is not a secret. It is home to many stunning islands, diverse cultures and delicious foods. Indonesia has so many wonderful tourist destinations that offer naturally rustic environment, which you cannot find in Bali or in any other established destinations. One of them is Raja Ampat in the Province of Papua, Indonesia. 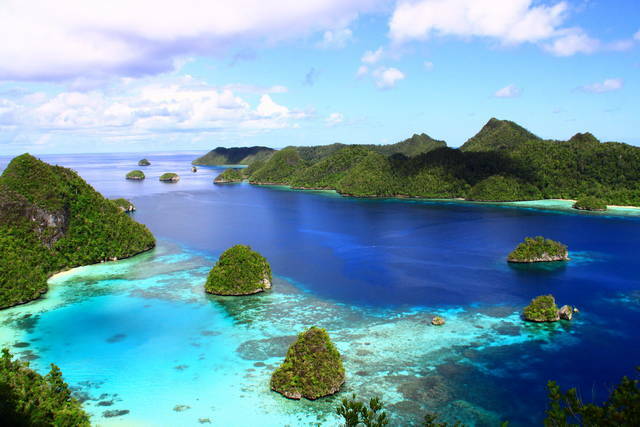 Raja Ampat is the destination of choice for divers and marine tourism lovers. It is even said to be one of 10 world’s best places, if not the best one, for diving since it has rare seawater flora and fauna. 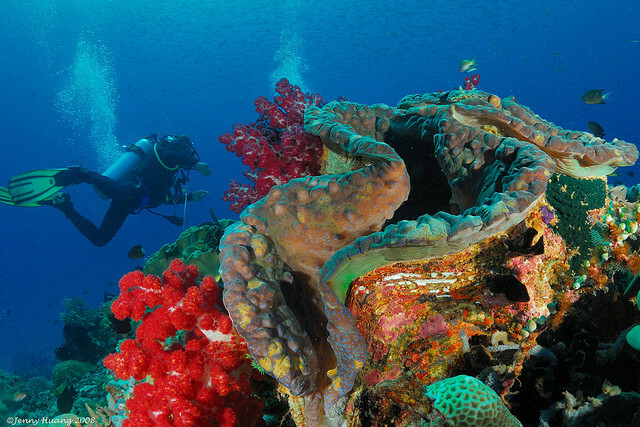 It has more than 600 species of coral reefs, which are not found at any other areas anymore. Preserved coral reefs are found in the strait between Waigeo Island and Batanta Island, in Kofiau, Misool, and Wayag Islands. Exploring the islands using a boat is an amazing activity to do in Raja Ampat. Renting a small boat, you can explore the islands freely. You can travel to the four main islands, with their hilly contour, and hundreds of other smaller islands. It is for sure, you will be amazed by the natural panorama surrounding you. Another way to explore the islands is trekking. Raja Ampat is known for scarce, unique fauna, like bald Cendrawasih, red Cendrawasih, maleo, waigeo, or kus-kus. In addition, trekking in the area of Tomolol will bring you to old bat caves, rare orchids or palms. Having a seat near to the natural falls in Salawati Island soothes your soul and mind, of course. There is also a traditional village in Waigeo, where you can sightsee and enjoy the unique and rustic environment. Papua community is known for unique handicrafts, made of natural materials, particularly wood and bamboo. 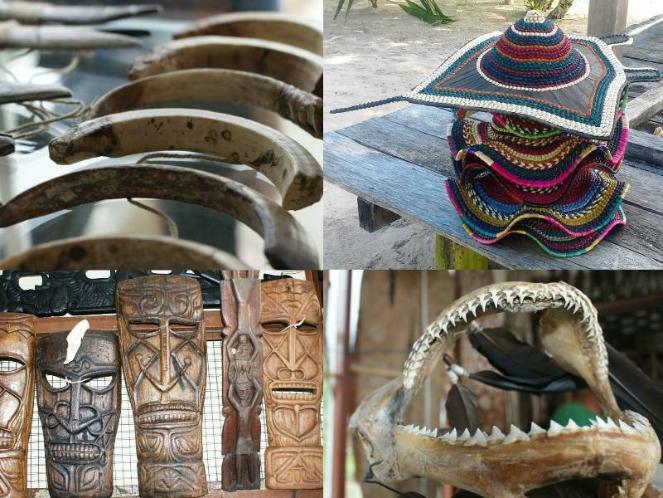 To get something interesting for your beloved ones at home, you can go handicraft centers or souvenir stores, such as plait crafts (anyaman) at Arborek, South Waigeo Island. You can bring the following stuffs home. Sculptures, made by Asmat community; you can also learn to make the sculpture with the assistance of Asmat crafters. 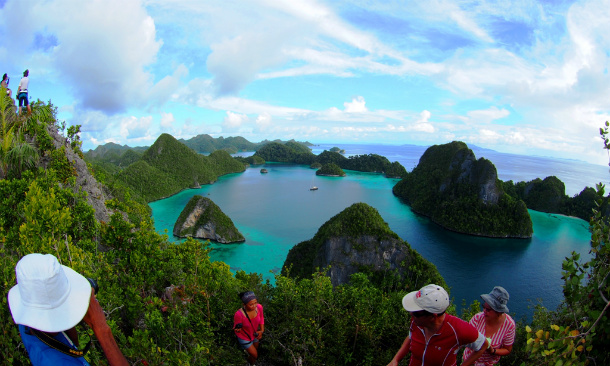 You may have to allocate relatively substantial amount of budget for a visit to Raja Ampat. From Jakarta, Indonesia, you fly to Sorong via Manado. The flight takes about 6 hours. From Sorong, you can go to Raja Ampat using speedboat or long boat for about 40 minutes of travel time. The standard transportation cost to Raja Ampat ranges from IDR 1 million to 1,2 millions. Surely, the cost and time you invest to visit Raja Ampat will be paid by the joy and unforgettable experience you get.